are excited to launch three new clinical trials this June! We are always looking to host groundbreaking clinical trials and make the research available to qualified participants in the Rhode Island area. We are currently looking for participants in a Pruritus (Itch related to Eczema) clinical trial being conducted at our Johnston, RI location. If you are a male or female 13 years or older with moderate to severe Pruritus (Itch related to Eczema), you may qualify for this study. The study may include use of an oral medication. We are currently looking for participants in a Nail Psoriasis clinical trial being conducted at our Johnston, RI location. 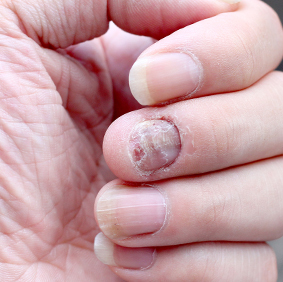 If you are a male or non-pregnant female at least 18 years of age with moderate to severe Nail Psoriasis, you may qualify for this study. The study may include use of a topical Nail Psoriasis medication. We are currently looking for participants in a Plaque Psoriasis clinical trial being conducted at our Johnston, RI location. If you are a male or female at least 18 years of age with moderate to severe Plaque Psoriasis, you may qualify for this study. The study may include use of an oral Plaque Psoriasis medication. For information on all of our current and upcoming trials, click here! All content © 2017 Clinical Partners, LLC. Site Design by Polar Square Designs in conjunction with The Lombardi Group, Inc.